Professor Munson practiced law in Philadelphia for 25 years, where she was a partner in the firm of Eckert, Seamans, Cherin and Mellott and the founder and chair of its Religion and Law Practice Group. She holds a J.D. from Rutgers School of Law–Camden, where she was Symposium Editor of the Rutgers Law Journal and organized and edited a one-volume issue on international terrorism. She also holds a graduate diploma in nineteenth-century literature from the Université de Paris–Sorbonne. Professor Munson received her B.A. in Secondary Education from Augustana College in Rock Island, Ill.
Before coming to SIU, Professor Munson spent several years at the University of St. Thomas School of Law in Minneapolis, where she was the assistant director of the Terrence J. Murphy Institute for Catholic Thought, Law and Public Policy, taught Nonprofit Organizations and Wills, Trusts and Estates, and also supervised upper-level student writing projects. Her private practice experience included commercial, antitrust, securities, and First Amendment litigation. Her later years of practice focused on issues at the intersection of religion and law and the representation of religious organizations, both large and small. 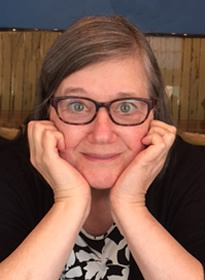 She has served as legal consultant and expert on church law issues, including church property rights (ownership of church property upon withdrawal of congregation from denomination), employment issues, clergy misconduct, and zoning disputes. She also has experience in various forms of alternative dispute resolution, including mediation, arbitration, and facilitation of interfaith dialogue. Professor Munson’s scholarly interests include lawyer formation, nonprofit corporation law, and religion and law.